Now this is a turn up. Of all the manufacturers you might expect to launch a two-tonne diesel leviathan - particularly at this time of increased EV saturation - VW wouldn't be top of the list. Given all that's happened, y'know, and its focus on future mobility solutions and more sustainable powertrains. Still, here we are, a new VW V8 diesel. As far as can be told this new Touareg TDI uses the same 3,956cc twin-turbocharged engine as once found in the Panamera Diesel S; i.e. one very closely related to that found in the Audi SQ7 - their cubic capacities are identical - but without the fancy electric compressor technology. Still, the Touareg is hardly left wanting. Peak figures stand at 421hp and a colossal 664lb ft, the latter actually matching the Audi adversary. Produced at 1,000-3,250rpm, that torque peak is exactly the same as the SQ7 as well - interesting. Much like the T-Roc R that this car will also share space with at Geneva, the Touareg V8 TDI is officially a concept. But, of course, given the amount of detail the current release goes into, we can expect a production version to strike quite some resemblance to this car. Apparently buyers will be able choose between 'Elegance' and 'Atmosphere' specification, with R-Line an option. All models will get air suspension and 19-inch wheels as standard, plus the usual host of driver assist technology. 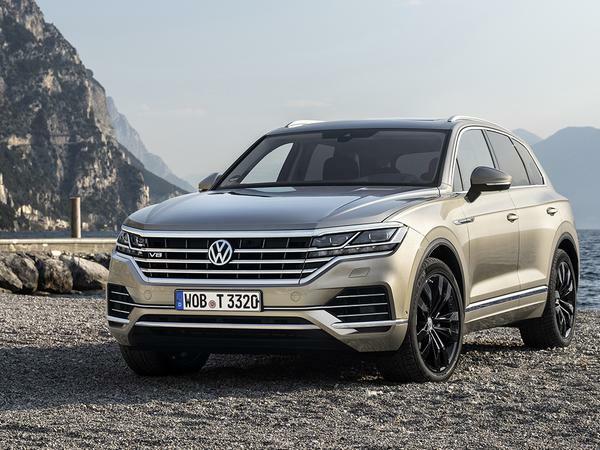 So according to VW, that's an SUV "designed for exceptional comfort", with the "torque of a supercar" and "excellent performance"; or, as far as we can see it, a really fast and really luxurious Touareg. 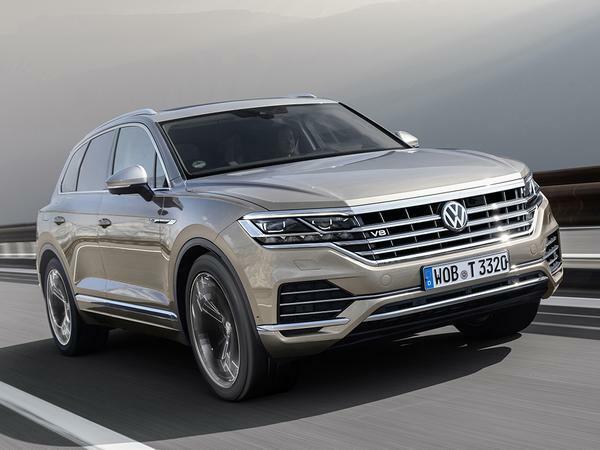 It's a nice reminder, too, that the Touareg might be the only car ever in its lifetime to be offered at some point with five-, six-, eight- and ten-cylinder diesel engines. While there's no confirmation of the V8 TDI coming to the UK just yet, there should be more information forthcoming - it's nearly here, honest - from Geneva next week. Before everybody screams diesel is dead, ADAC tested the latest diesels on the market and their NOx emission (the stinky ones where the whole gate was about) are vastly reduced and are perfectly clean now. "Crams" it in? The previous model was available with a V10 diesel, is this one smaller? exactly, plusthe Gen1 Q7 had the 4.2 v10 diesel as well and that wasnt exactly crammed in!